Instructions for booking on line with "Stay in Maremma"
The window here beside includes the links to the page of each accomodation facility where you will find the information you need. Fill in the following form to know about the facilities' availability during the period you request. 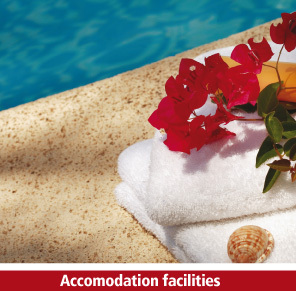 You will immediately receive the list of the available facilities. This way you will be able to choose the accomodation you like best and book your "Stay in Maremma". Adults n. Children under 6 n.
I hereby agree to the treatment of my personal data as shown in the informative report on privacy. Information: Tourist information office in Magliano in Toscana tel. +39.564 593056, e-mail proloco.magliano@libero.it - or at the accomodation facilities.